Danganronpa Director Kazutaka Kodaka on the Power of "Psychopop"
The creative force behind some of gaming's greatest murder mysteries shares his thoughts on what makes his strange universe tick. Few games these days can be called the product of auteurs, though Danganronpa stands as a bold exception. This visual novel/Japanese adventure series comes from the mind of Spike Chunsoft's Kazutaka Kodaka, and it likely wouldn't be such a powerful experience had anyone attempted to alter his vision. 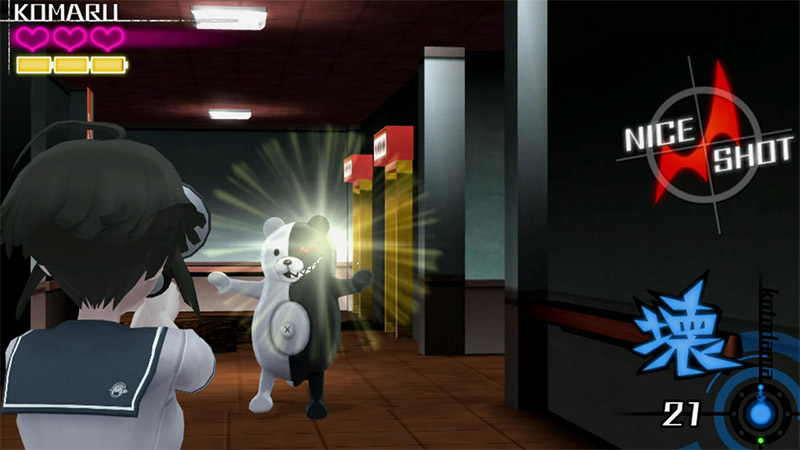 Kodaka's strange tale of a maniacal teddy bear forcing teenagers to snuff each other out remains one of the most compellingly strange narrative journeys in gaming, and the way he manages to string players along through a gauntlet of unbelievable (though well-earned) plot twists is admirable, to say the least. With a new sequel recently confirmed and the spin-off, Another Episode, headed to the US this fall, Kodaka won't be leaving this notable series behind anytime soon. And at this year's GDC, I caught up with Kodaka for a short chat in an attempt to figure out what inspires his off-kilter approach to storytelling. USgamer: As someone who has written several within a few games, what do you feel are the key elements to a good murder mystery? Kazutaka Kodaka: There's essentially two [formats for] mysteries: novels, and video games. In the case of video games, you're looking to have the player come up with the solution. In the case of novels, you're trying to surprise the reader. What I tried to do with Danganronpa is combine elements of both: surprise the player, [and give] them an opportunity to solve the mystery. USg: I take it you're probably a fan of mystery as a literary genre. Can you tell me any writers you're fond of, and what you admire about them? USg: I'm interested in your process for writing a mystery. Can you walk me through the steps? KK: Generally speaking, in mysteries, you have the person who gets done in, and then the murderer. Because that's the accepted convention, when the reader reads this, they're supposed to have a human connection to either those who get killed or those who kill—and I really didn't like that. What I wanted to do, specifically, is make characters that are interesting, that the player can relate to, and feel emotionally attached to. So when I write, the most important thing I pay attention to is that: Imbuing my characters something that's relatable to the player, so they'll be surprised by what's happening and what these characters are doing. My ideal situation is that when somebody is killed, and the murderer is revealed, I want the player to be shocked, like, "Oh my God! What happened?" That's what I'm aiming for. USg: Visual novels have only been viable in America for roughly ten years, thanks in part to the Phoenix Wright series. Why do you think it's taken so long for America to understand this genre, and what do you think about the future of this genre in our country? KK: I'd like to draw a distinction between visual novels and something like Phoenix Wright. Visual novels are generally composed of text on a screen that the player is reading—and then, they're usually limited to PC. When you look at Phoenix Wright and Danganronpa, you actually see gameplay elements, and that's what made these games catch on. I feel there's a big opportunity in America for visual novels, but that depends on how much gameplay developers are able to incorporate into them. USg: Danganronpa has more gameplay elements than most games of its type. Did you incorporate these elements to keep players moving between various types of actions? KK: It was actually a sales-driven idea. At the time the first Danganronpa released, visual novels in Japan weren't really selling well. We figured that, if we make this game and market it as a visual novel, it's probably not going to do very well. In order to avoid that problem, we decided to add a lot of gameplay elements in order to make it more appealing—to draw that distinction between adventure games and visual novels. Actually, when we were developing the game, when we started to incorporate the interactive elements, many times, the staff would say, "Do we really need this? Why don't we just tell the story as it is?" But I knew, if we did this, it wouldn't be viable on the market. In spite of contrary opinions, we pushed it through. USg: The upcoming Danganronpa: Another Episode contains the most "gamey" elements in the series to date. Is this an exclusive case, or are you looking to increase the amount of "gameyness" as Danganronpa continues? KK: Truthfully, I don't think that far ahead—I make decisions as they come. That said, I understand what the expectations are for Danganronpa, and, in spite of the fact that Another Episode is an action-oriented game, if you look at the split between interactive elements and text, it's about the same [as the main series]. USg: In the Danganronpa series, players are presented with a group of stereotypes—but soon, they learn that these two-dimensional personalities are merely the facades these characters hide behind. With this choice, were you at all intending to subvert or satirize the stock characters we see so often? KK: Rather than being a purposeful subversion of a trope, it's more about how best to tell a story that surprises the player. When creating the characters for Danganronpa, this is what I think about: How to turn the player's expectations on its head. The reason I use very tropey characters is that this approach makes it easy to mislead players based on their expectations. And once you lead them as far as you want them to go, then suddenly pull them back, it makes that shock all the more impactful. USg: Now that Danganronpa has some appeal in the West, will this change the way you write future games? Or will they always be intended, primarily, for a Japanese audience? KK: Actually, I don't feel that I understand the Japanese market, either. When I write my stories, my main goal is to keep myself interested, and write the kind of game and story, and characters, and scenario that I would be entertained by. Going forth, I don't see myself taking a different approach. As long as I can create something that I find new and interesting and exciting and unique, that's all that matters. But I'm happy to know that there are people all over the world who find the same things interesting, too. USg: I was actually surprised that you were the writer behind Another Episode—do you feel obligated to be the main creative force on anything with the Danganronpa name? 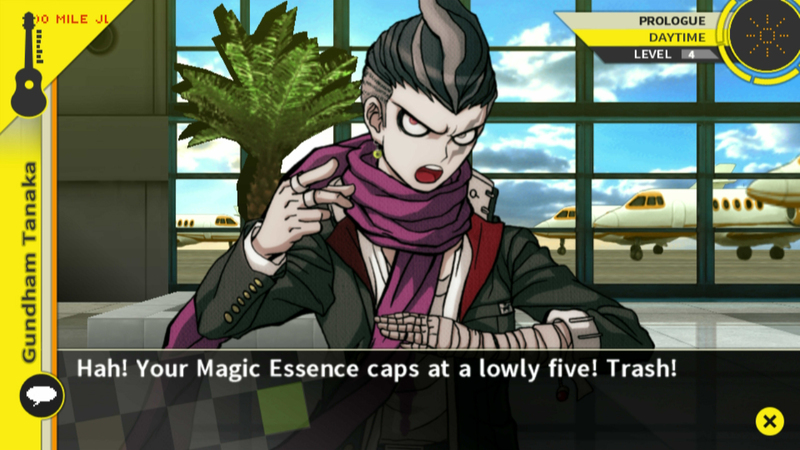 KK: When it comes to Danganronpa, I'm there. When Spike Chunsoft was talking about making a spin-off, I was originally just going to be the scenario writer. But the further development went, the more I became involved, from beginning to end. So it's safe to say anything Danganronpa will have me involved. Anytime I have an idea that I think would be cool to do, I try to do it. USg: Recently, I came across some images online of an early version of Danganronpa. Can you explain why it changed so much from its original concept? KK: It may be different in America, but the market for horror is extremely narrow in Japan. When we started working on the game, we figured it might be too horrific, too gruesome, and it would really limit our audience. In order to make it appealing to more people, we decided to add what I call "pop" elements. To make it a little more palatable for more people — that's why we moved away from the first version of Danganronpa. USg: On that point, so much of the game is stylized, but I'm still curious if the hot pink blood in Danganronpa was incorporated to get a lower rating. KK: If you try to make a horror game, you're not going to beat Dead Space, so why try? Rather than that, why not create your own new genre? I call it "psychopop." And if it's your own genre, there's no one to compete against, so you're automatically at the top! The idea of "psychopop" is that things are gruesome and horrific, but there's this pop twist to it: the visual flair. The reason why Danganronpa's blood isn't red is because of "psychopop" itself. USg: The Japanese adventures games that I'm most familiar with come out every 2-3 years, with multiple episodes or chapters included. Have you ever considered an episodic release for your games, like Telltale's model? 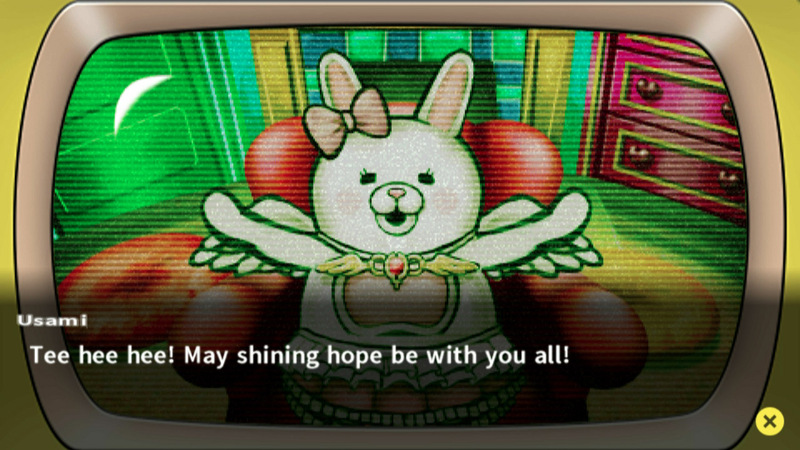 KK: Development time when it comes to Danganronpa is pretty short—it's actually about one year. Still, the idea of an episodic release is something that I did consider. But how would you do that? One way is to give the player half the story, then have them purchase the latter half, for example. But if the person wasn't interested, they wouldn't buy the second half. Instead, I like the idea of giving the player the complete story, and then, for those who are truly interested, give them branching paths they can purchase. So you have a complete game, in and of itself, that would not be episodic, but there would be branching pathways directly relating to the main game. USg: Is that something Spike Chunsoft has ever done before? KK: No, but I'd like to try it! Tagged with Game Developers Conference (GDC),	Interviews,	Kazutaka Kodaka. Two writers, three games, and an anime.